This course trains you on how to get inventive with Adobe Flash’s drawing tools and spark life in to graphics via motion whilst integrating images, audio and video to build interactive experiences. The Adobe Flash training course at Study365 is designed for first-time Adobe Flash users and it is perfect for digital and traditional designers who want to create interactive web experiences. This training course is tailored for web designers and up-and-coming web developers who want to create engaging Flash interfaces using graphics, video, text, animation and sounds. This course will teach you how to develop more dynamic and innovative websites. 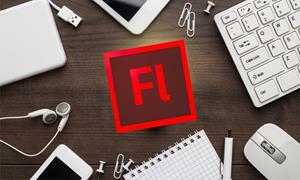 This entry-level course typically attracts attendees looking to develop an understanding of using Adobe Flash for your workflow. This course is aimed at designers and developers who are new to flash and who want to get to grips with the user interface and learn the basics of animation and interactivity. As this course is aimed at beginners, all that is assumed is that delegates are familiar with the web, its terminology and how Flash is used within this environment. Successful candidates will be awarded certificate for “Adobe Flash (Professional CC) Training”. Fill out your details to find out more about Adobe Flash Training Course.